Vape pens and electronic cigarettes are increasing in popularity in the United States, quickly growing into a billion-dollar industry. However, these devices can also explode, leading to severe injuries and even death among users. If you or a loved one suffered an injury due to a vape or e-cigarette, legal options are available. For your e-cigarette lawsuit, contact the San Diego vape and e-cig injury attorneys at Liljegren Law Group. Our clients trust Liljegren Law Group to handle their vape lawsuits due to our proven success, affordable services, and commitment to our clients. We aim to practice open and consistent communication throughout your case, from consultation to settlement. You will always remain up-to-date on the status of your case. Our firm operates on a contingency-fee basis, limiting your out-of-pocket costs. You will only pay legal fees if we secure a settlement on your behalf. We will take an agreed-upon percentage of your settlement as payment. Our attorneys have recovered millions of dollars in settlements for injured people throughout San Diego County and are committed to finding creative solutions for the benefit of your case. Some of the most dangerous injuries e-cigarettes and vapes cause involve exploding pens. Many cases have occurred where these pens overheat and explode while charging, suddenly explode while someone is using them, or exploding while someone is carrying the pen around in his or her pocket. The main cause of these explosions is the battery inside the pen, which contains dangerous chemicals and can cause severe damage when they overheat. Injuries from exploding e-cigarettes involve burns to the legs, face, chest, arms, hands, and mouth. The acid contained in these batteries can cause third-degree burns and victims often require skin grafting and reconstructive surgery. As a victim of an exploding e-cigarette, you may need extensive, expensive treatment and spend the rest of your life with permanent injuries. Do You Have a Vape Injury Case? If you find that your e-cigarette or battery is defective and you suffer injuries as a result of this defect, such as popcorn lung, you could file a lawsuit against the manufacturer, distributor, or vendor of the vape. 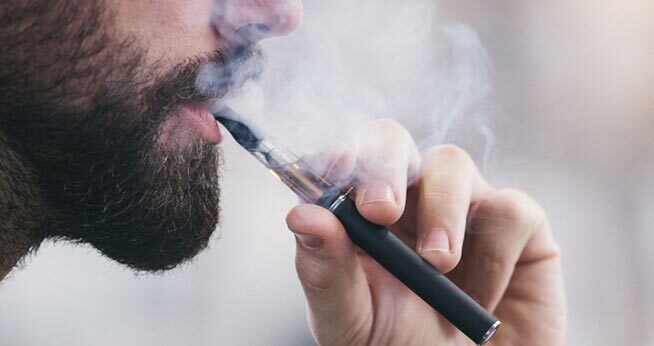 You can file a lawsuit if you find that the vape’s design was defective, its manufacturing was defective, or the instruction manual failed to warn you of foreseeable risks involving the vape. To file your lawsuit, you must have suffered recoverable losses as a result of your injury the defective vape caused. You can claim both economic and non-economic damages in California product liability cases. In some vape injury cases, the defective design of the pen itself is to blame for your injuries, either through a defective shut off mechanism or a too-hot heating element. However, in many cases, the battery may be the main cause of the explosion. The battery may overheat and discharge inside of the vape, leading to the explosion. Your vape and e-cigarette injury attorney from Liljegren Law Group can help you determine if the battery or the design of your e-cigarette led to your injuries, consulting with trained engineers to establish an expert opinion for your case. To prove liability in a California vape injury case, your attorney must satisfy certain elements to establish negligence on the part of the manufacturer, distributor, or vendor. He or she must prove that the cause of the incident was not because you used the product in an unintended way. Your attorney will need to receive an expert opinion to determine the cause of the explosion and prove that the at-fault party failed to act to prevent the explosion. Finally, your personal injury attorney must prove that you suffered injuries and damages due to the explosion. Do you need an e-cigarette attorney for your San Diego lawsuit? Contact Liljegren Law Group today to schedule your free consultation.